After checking it out briefly when it first announced, I was prepared to hate the Samsung Galaxy Tab S4. 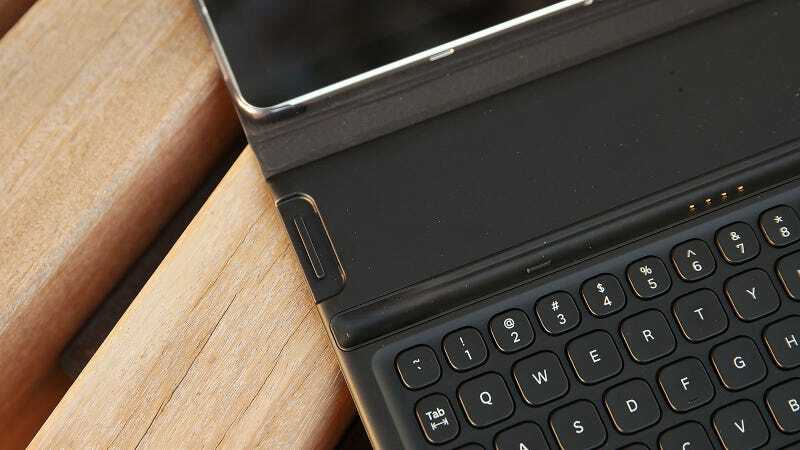 Sporting outdated specs similar to last year’s Galaxy Note 8 (except with 2GB less of RAM and worse cameras), no fingerprint reader, and a price tag of £600 (and that’s not including its keyboard dock), the Tab S4's underlying components just didn’t make sense. And for all that, what was Samsung offering in return? A slightly larger screen with slightly smaller bezels and Samsung’s Dex software instead of Chrome OS? The Tab S4's smaller footprint makes it easier to use on cramped aeroplane tray tables, but unlike a Surface or a traditional 2-in-1, in laptop mode there’s no way to adjust the angle of the screen. 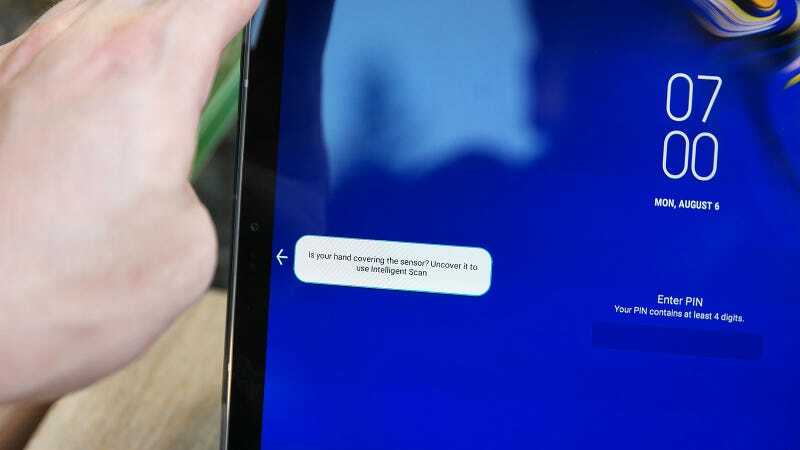 Thankfully, the Tab S4’s keyboard felt pretty good, with enough key travel and bounce to make typing relatively painless, even with all those of half-size and shrunken keys. 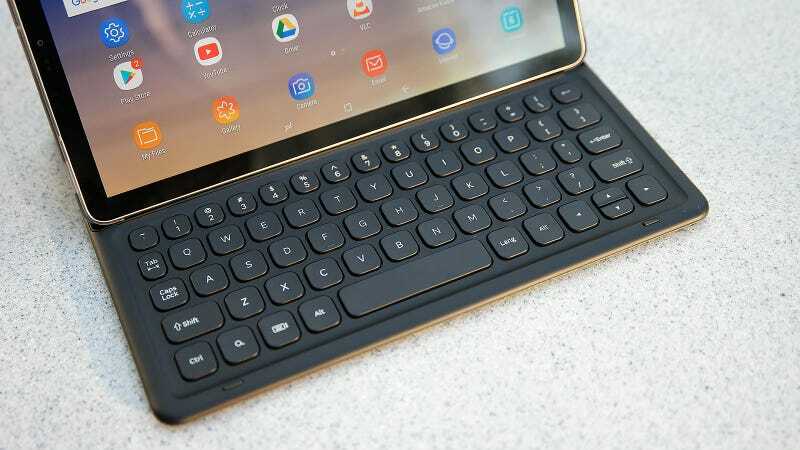 That said, I still often found myself wishing the Tab S4’s keyboard cover had a built-in touchpad. 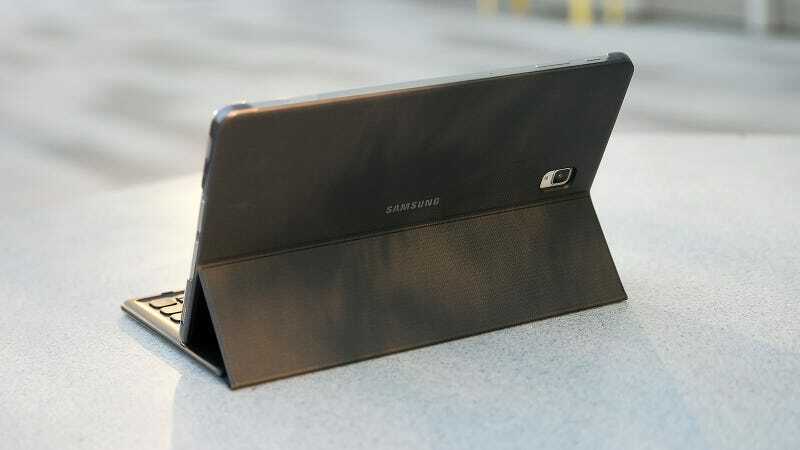 I get why Samsung didn’t include one, as its smaller overall footprint makes the Tab S4 a better device for use on planes. But for true mobile productivity, as good as that stylus is, it isn’t a true substitute for a mouse. However, there are still two things I can’t wrap my head around when it comes to the Tab S4: its price and its OS. Combined, the Tab S4 and keyboard cover costs £720, which is £200 more than an equivalent Surface Go (tablet + Surface Cover + Surface Pen), and around £200-£300 more than Samsung’s own Chromebook Plus V2, which are just as good, if not significantly better at being mobile productivity machines. Compared to those other two, the Tab S4’s 10 hour and 13 minute battery life is i’s only major advantage, with the Chromebook Plus V2 lasting two and a half hours less at 7:42, while the Surface Go wasn’t much better at 8:05. That’s not an insignificant gap by any means, but the Tab S4’s high price means you’re paying a lot for that extra runtime. 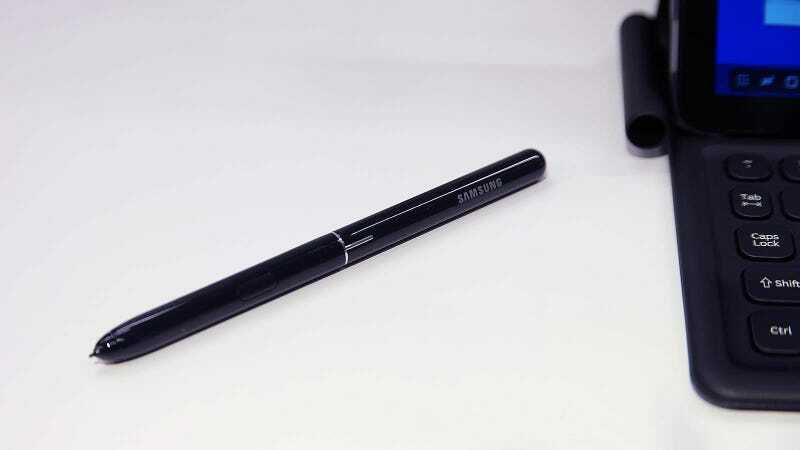 And by going with Android plus Dex instead of Chrome OS, Samsung may have added a few more stylus features and a little more comprehensive software compatibility, but at the cost of much great complexity, that often feels unnecessary. 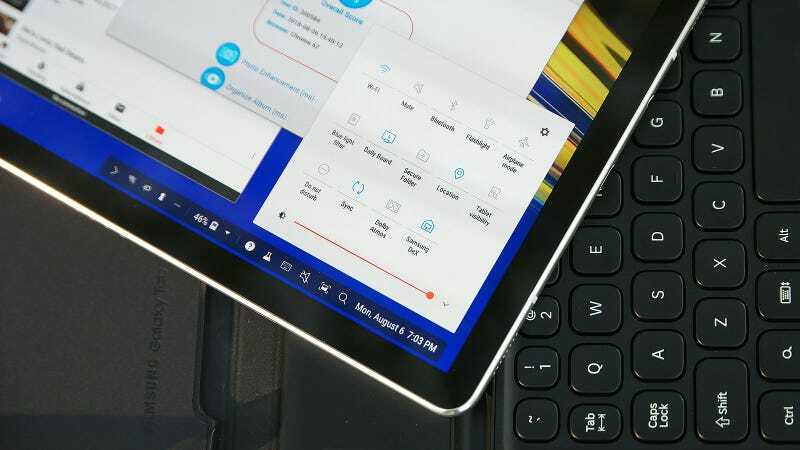 Switching between standard Android and Dex isn’t instantaneous like you get when going from tablet to desktop mode in Windows 10, so it feels a bit clunky. And like Dex, Chrome OS also features full support for Android apps. 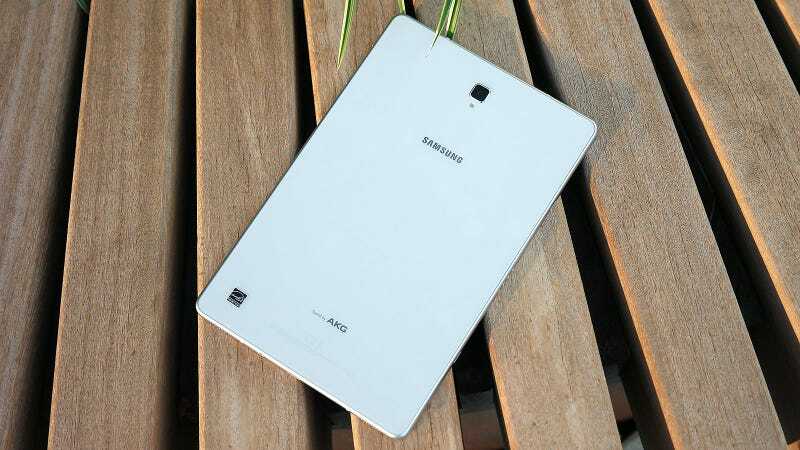 In a lot of ways, Samsung made a really faithful Android counterpart to Apple’s iPad Pro. The problem is that because the Tab S4’s lives outside of Apple’s restrictive ecosystem, it has to fend off much tougher competition. It’s a sort of a tragedy because while the Tab S4 showed me there’s still very much a place for a premium multi-purpose tablets, but when you take price and productivity into consideration, it’s not my first choice for the one I’d buy.